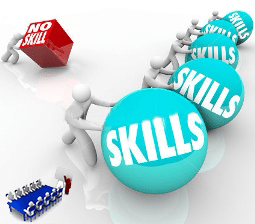 To embark the first ever World Youth Skills Day on 15 July 2015, the Ministry of Skill Development and Entrepreneurship (MSDE) will launch the skill India campaign. 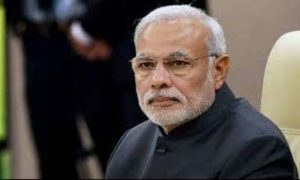 Prime Minister Narendra Modi will be the Chief Guest for the event to be held at Vigyan bhawan. The Minister of State (Independent Charge) for Skill Development and Entrepreneurship Rajiv Pratap Rudy has said that during the function, the Prime Minister will formally launch the National Skill Development Mission, unveil the new National Policy for Skill Development and Entrepreneurship 2015, and roll-out all India basis the Ministry’s flagship scheme, Pradhan Mantri Kaushal Vikas Yojana (PMKVY)- the pilot phase of which has already begun. 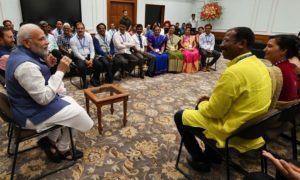 He said, National Mission will converge, coordinate, implement and monitor skilling activities across India.It will also be a vehicle to achieve the objectives of the Natioal Policy for Skill Development and Entrepreneurship 2015, which will provide policy direction and guidance to all stakeholders in the skill development and entrepreneurship ecosystem. Rudy said, the Pradhan Mantri Kaushal Vikas Yojana (PMKVY), the Ministry’s flagship, demand-driven, reward-based skill training scheme will incentivise skill training, by providing financial rewards to candidates who successfuly complete approved skill training programmes. PMKVY will skill 24 lakh youth, across India, over the next one year. 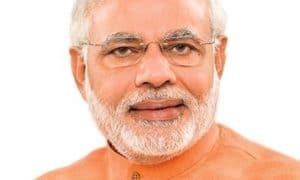 For the first time, the skills of young people who lack formal certification, such as workers in India’s vast unorganised sector, will be recognised through an initiative known as ‘Recognition of Prior Learning’ (RPL), who will have a chance to be assessed and certified for the skills that they already possess. 10 lakh youth will be certified under PMKVY’s RPL category over the next one year. He said, the launch of the Skill India Campaign is an important milestone towards achieving the objective of skilling with Speed, Scale and Standards accross the country. This event would bring together key stakeholders including Central Ministries,Departments, State Governments, leading Industry Bodies, and trainees. Partnerships with all these stakeholders is vital to ensure that Skill India, is a success.